I can’t believe it is the Christmas season again. It seems to begin earlier and earlier each year, but it is still an exciting time and I always look forward to the new books that come out celebrating this time of year. 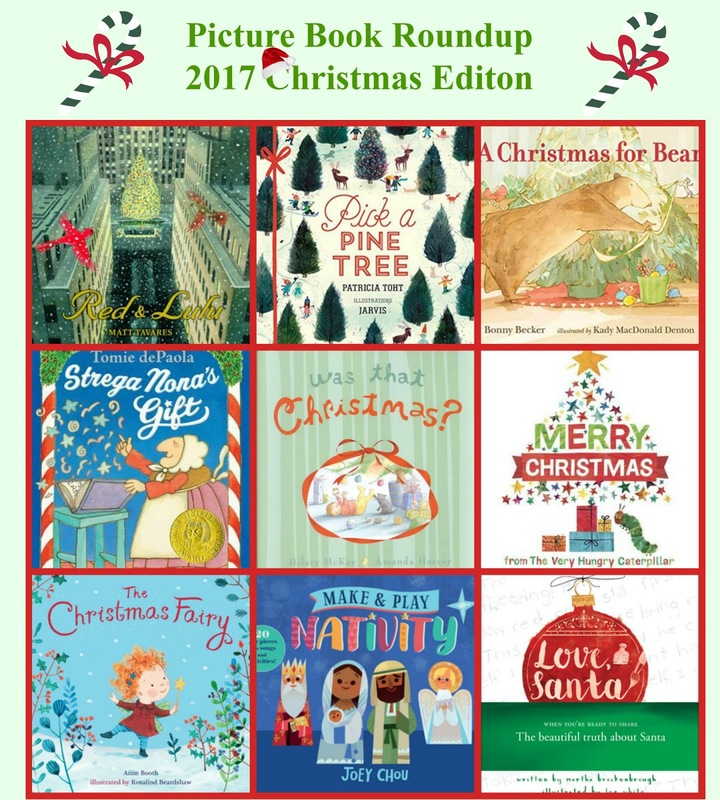 Below are some of our favorite picture books this year, and it include to oldies, but goodies. I’m a New Yorker, so I love a good New York story, and this has become an instant favorite. Two cardinals, Red and Lulu, have been living in a tall evergreen in the suburbs for a while now. It was perfect, warm in winter, cool in summer. One day, after looks for food himself and Lulu, Red returns home to find that the tree has been cut done and is lying on a truck. Hearing Lulu still in the tree, Red tries to follow the truck as it goes down the highway, but soon loses it. Red finds himself in New York City, where he continues to look for Lulu. Finally, she is found, still on their favorite branch. Red and Lulu are happy to be together in their tree, watching all the people and excitement around them, until one day, their tree is again taken down. Maybe it’s time for Red and Lulu to find a new, more permanent home in the park. Christmas is the season of miracles and faith, and that is exactly what this story demonstrates. 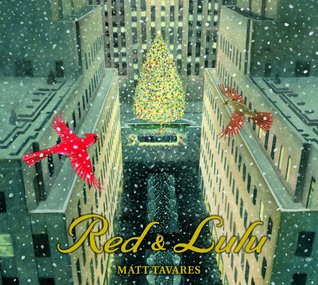 Red never gave up looking for Lulu, and he found her, and it is kind of a miracle when I think about how crowded and confusing New York can be at the holidays. Interestingly, Tavares never mentions Rockefeller Center, except in the back matter where he gives a brief history of the Christmas tree there, but readers will most likely recognize it from the illustrations. The realistic watercolor and gouache illustrations, done mostly from Red point of view, are knock your socks off beautiful, done in soft colors so the red of the two cardinals stand out. The family that donated the tree are shown at the beginning in warmer weather, later ice skating at Rock Center during the holidays, and finally on the very last page, once again in warmer weather and with a small evergreen where the old one used to stand, bringing the story back full circle. This story really may me and my now grown up Kiddo happy because there is a holly tree outside my kitchen window and there is at least one cardinal living in it, now it is called Red. The anticipatory excitement of picking out a Christmas tree, buying it, and taking it home to decorate is captured perfectly in this story about a family of four as they set off on their tree buying day. At home, the furniture is moved around, the trunk of the tree is trimmed to fit the stand, and the decorations are brought down from the attic. When everything is ready, the family hosts a decorating party, inviting all their friends to help trim the tree with bright lights, jolly Santas, dancing elves, paper dolls, all kinds of ornaments. Finally, it’s time for the crowning touch - a shiny golden star at the very top. 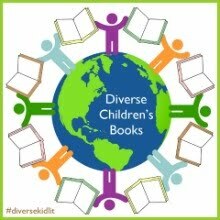 The story is told in rhyme with spot on four line stanzas on each page describing every task that needs to be done for the spectacular finished tree that can be seen on a two page spread at the end. Jarvis’s simple pencil, chalk, and paint illustrations are done in a wintery palette outside, and a warm, cozy palette inside the house, and include diverse characters throughout. Pick a Pine Tree did make me a little nostalgic for my own childhood days a tree decorating, and for the days when my Kiddo was growing up and how she loved having a Christmas tree, but it was a good nostalgia. This is sure to become a yearly classic for many families. When Mouse shows up a Bear’s door ready to celebrate Christmas, he’s a little surprised and perturbed that Bear doesn’t have a holly, jolly party planned. Bear, who is naturally grumpy, has never has a Christmas party before, but he’s pretty sure it involved pickles and poems, while Mouse is expecting presents. Finding none under the tree, Mouse searches the house with Bear following behind telling him no presents, just pickles and a poem. As Bear begins to recite The Night Before Christmas, Mouse gives up looking for presents, until Bear gets to the part about carefully hung up stockings…umm. could Bear have a present for Mouse after all? By now, most kids are familiar with grumpy Bear and optimistic Mouse and their friendship that proves that opposites really do attract. 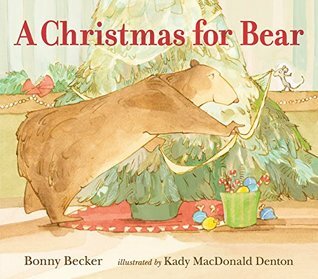 A Christmas for Bear is every bit as delightful as we have come to expect from Bonny Becker and her charming characters. Denton’s watercolor, ink, and gouache illustration capture Mouse emotions as he gets sadder and sadder, and Bear sly smile when Mouse discovers the stocking hanging on the mantel. This is a nice story celebrating friendship. The Christmas season has arrived in Strega Nona’s village of Calabria, and everyone is ready to celebrate. Strega Nona is busy preparing traditional foods for all the Feast days - the Feast of San Nicola (Saint Nicholas) on December 6th, the Santa Lucia (Saint Lucy) on December 13th, the Feast of La Vigilia, Christmas Eve, everyone eats fish for the Feast of the Seven Fishes. On the Feast of San Silvestro, New Year’s Eve, everyone wears red underwear for lucky in the new year, and finally, on January 5, the Epiphany and the Feast of the Three Kings arrives. Strega Nona is busy preparing special food for her animals, but it all smells so good that when she asks Big Anthony to take Signora Goat her treats, he can’t resist tasting them - all of them. Annoyed, Signora Goat teaches Big Anthony a very valuable lesson. This is a story that is chockablock with fun, information about Italian holiday customs, and delicious sounding food. 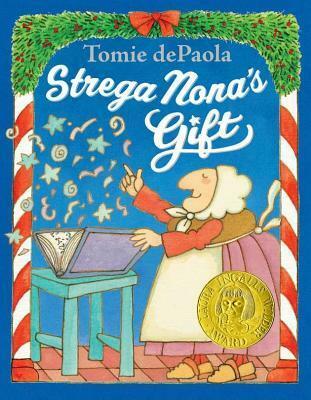 But like all of the Strega Nona stories, there is a lesson to be learned. Bella is finally old enough to go to preschool, where she learns all about Christmas. 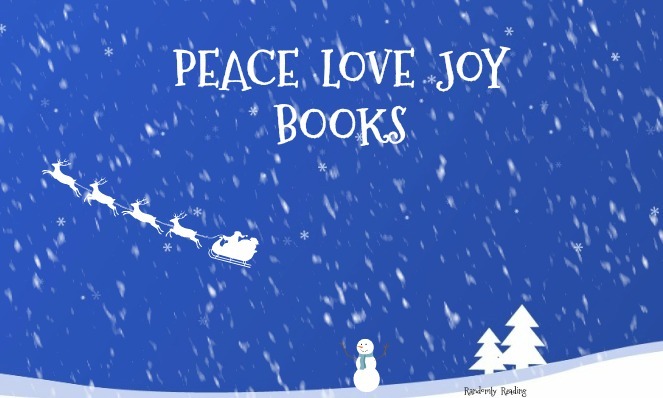 There’s a story, a play, and even a visit from Santa. But something’s wrong. Santa didn’t come in a sleigh, and he forgot a present for Black Jack, her pet cat. Was that Christmas, she wants to know, clearly disappointed. No, mom tells Bella, it’s just the beginning. Then, Mom, Dad and Gran each tell Bella different things that need to be done in order to have the jolliest of Christmas celebrations. 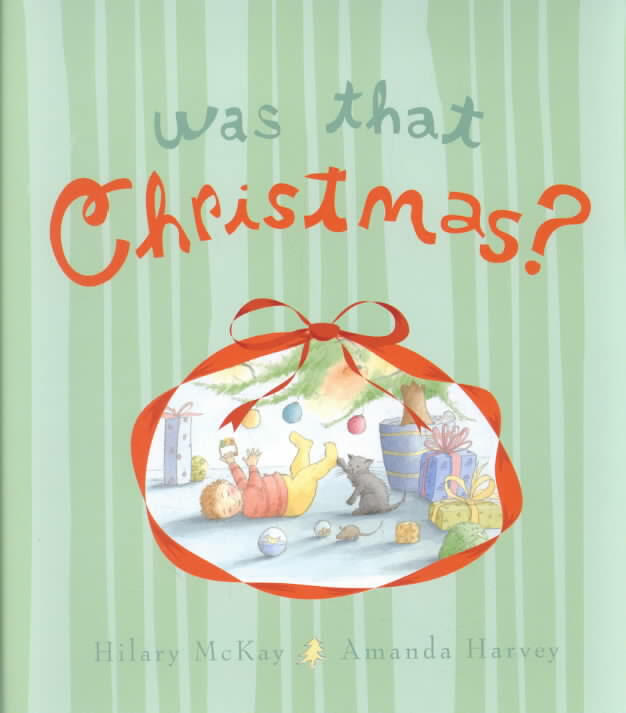 With charming spot pencil and watercolor illustrations, this is a book for the younger set who are just beginning to understand the whole idea of Christmas, but may still be confused and overwhelmed. Not all families will do all the same things, but that’s OK, personal traditions can easily be inserted. 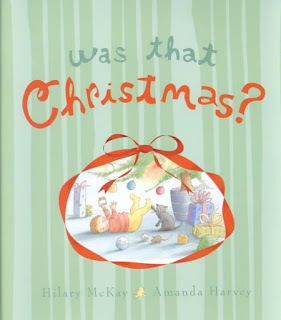 This is the perfect book for kids who are old enough to finally get into the festive Christmas spirit. While there are illustrations with lots of presents, including the front and back flyleafs, the simple text reminds readers of the other wonderful aspects about the holiday season - love, giving sharing, joy, playing in the snow, and of course, eating tasty seasonal delights. Carle has captured all this in simple illustrations done in his signature collage style of layering brightly colored hand-painted papers, so that each color is really saturated with brightness. Kids already familiar with the very hungry caterpillar will enjoy being guided though this book by a favorite, familiar friend. More than anything, Clara wants to be the fairy who sits at the top of the Christmas tree. The only problem is that Clara can’t learn to sit still as a statue and quiet as a mouse, while standing on her tippy toes, she is just too excited taking and thinking her happy thoughts. When her teacher takes the class of would be Christmas fairies to see a Christmas show, something goes terribly wrong and next thing Clara knows, Santa is asking her to help out. Will Clara save the Christmas show and become a Christmas tree fairy despite or because of her exuberance? This rhyming story, as you might have guess, is a play on the Rudolf the Red Nose Reindeer story (Clara even has red hair). At first, I was like, wait, don’t break that happy girl’s spirit, but I have a feeling that thanks for Santa’s recognition, and despite standing straight and tall as the fairy on the top of the Christmas tree, that’s a job that will never be done the same way again (I hope). 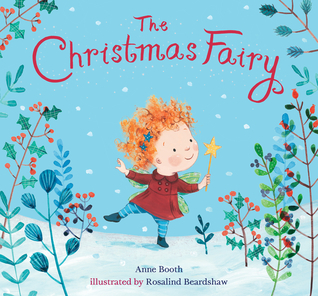 The mixed media illustrations are fun and Beardshaw has give her fairies sweet, angelic faces. perfect for a Christmas story. Anticipating Christmas can be a frustrating time for young kids sometimes, so it helps to have activities that will keep them busy. 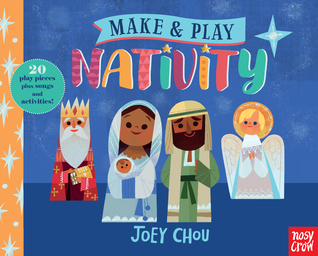 Baking cookies and decorating the Christmas tree are fun for them, but with this press-out, easy to assemble nativity book, kids can put not only be kept busy, but also be reminded of the reason for the season. Not only are their 20 pieces to this nativity, but at the back of the book, you will find a section called “Time for Christmas Fun!” There is the Nativity Story to read, the word to four of the most popular Christmas hymns, and instructions for making three additional crafts - a Christmas star, a Christmas angel, and an Advent Calendar. You might want to consider pairing this with Make & Play Christmas to round out the Christmas season. Every year, since the age of five, Lucy has written Santa a letter, and every year, Santa brought Lucy a present and left a letter of his own. This ritual repeats itself for the next year, when Lucy is six. 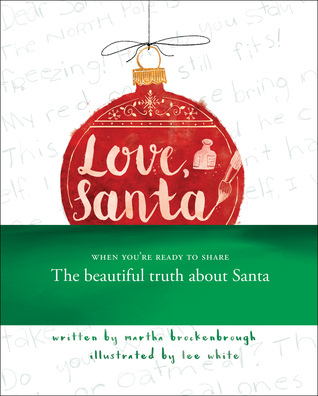 But when she is seven, her letters begin to question Santa about how he gets down chimneys, how he delivers gifts if people don’t have chimney, and why does his handwriting look so much like her mom’s, but she decided not to send it and wrote a different letter. But the letter she writes on her eight Christmas is different. Instead of being addressed to Santa, it is addressed to her Mom, and asks straight out “Are you Santa?” The next morning, an envelope that looks just like the envelopes she had previously received from Santa, was left for Lucy in the usual spot. Inside is a letter from her mom, explaining who brings her presents to her, but also telling her that the spirit of Santa is real and lives on in all of us. 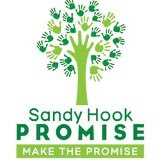 The letter is long and heartfelt, a copy of the letter author Martha Brockenbrough wrote to her daughter Lucy in 2009 when she was confronted with the same question. The letter may carry the truth, but it also carries the magic of Christmas that sometimes gets lost once we are in the know. White’s watercolor and mixed media illustrations capture Lucy as she matures each year, and as her emotions change and mature. On some of the right facing pages an envelope in glued on and contains the letters that Lucy writes, so readers can pull them out and read what is written, and the also reflect Lucy as she grows from year to year. 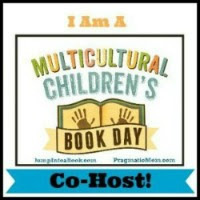 This is a book I would have liked to have when that day came and my Kiddo began to question things. 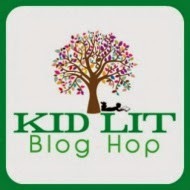 This is a real coming of age story, that may conjure up sentimental and nostalgic feelings for older readers. 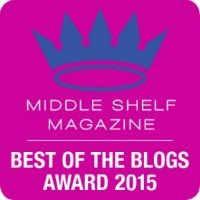 I really enjoyed reading about all your book choices. 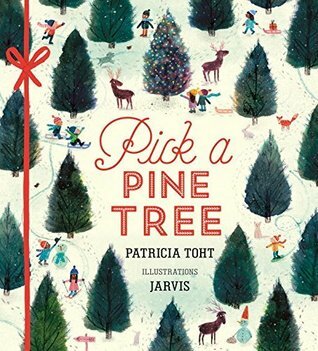 The cover of Pick a Pine Tree is absolutely beautiful! I'm glad you enjoyed them. I also loved Pick a Pine Tree. 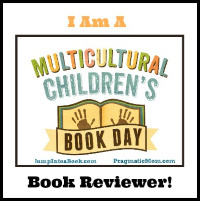 It reminded me so much of my own experiences as a kid and with my kid. Make a Play Nativity was fun. I gave it to one of the kids who said they didn't have a nativity at home and she really wanted it. Hello Alex, you’ve found and shared some lovely Christmas books. 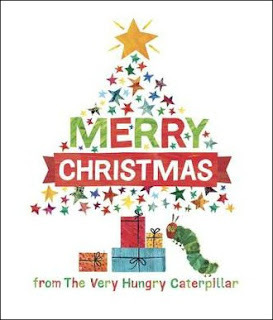 Red & Lulu sounds perfectly delightful as does Merry Christmas from the Very Hungry Caterpillar but the rest of them appeal to me as well!